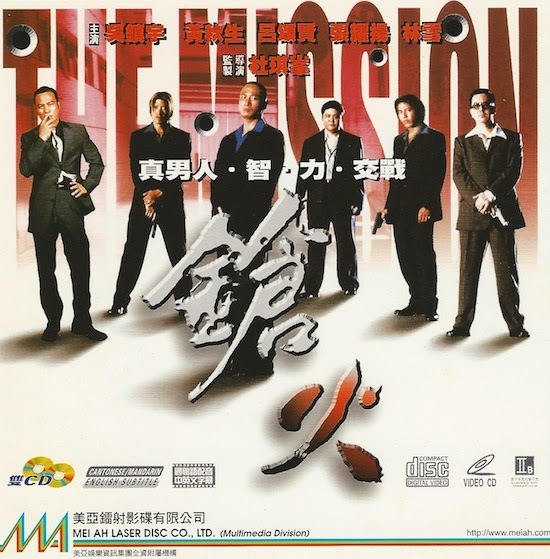 I'm not sure what prompted me to do it, but the other day I gave the Mei Ah vcd of Johnnie To's The Mission a spin. This vcd was how I saw the film for the first time, and I haven't watched it on this format ever since, so I was surprised to see that it contains subtitles not present in any of the dvd versions I've ever seen. As you will see in the screenshots below, these are timed with the opening sequence in which the characters played by Lam Suet, Anthony Wong and Roy Cheung are introduced. I've seen it in the cinema too, and don't remember those subtitles. Simon, it turns out that they are present on the disc as the Mandarin dub has a voice over on this sequence. Mystery solved thanks to Yochiro and Sam on facebook. Where did you see it theatrically?